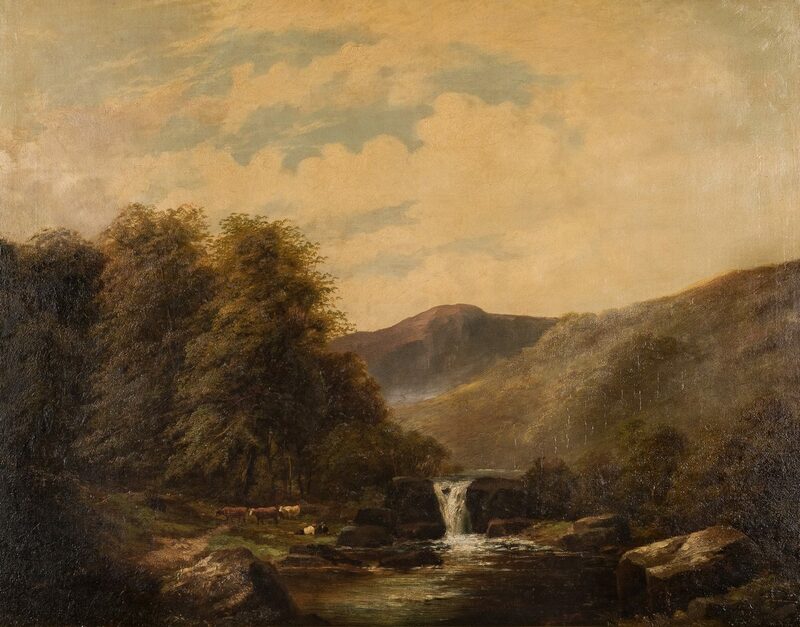 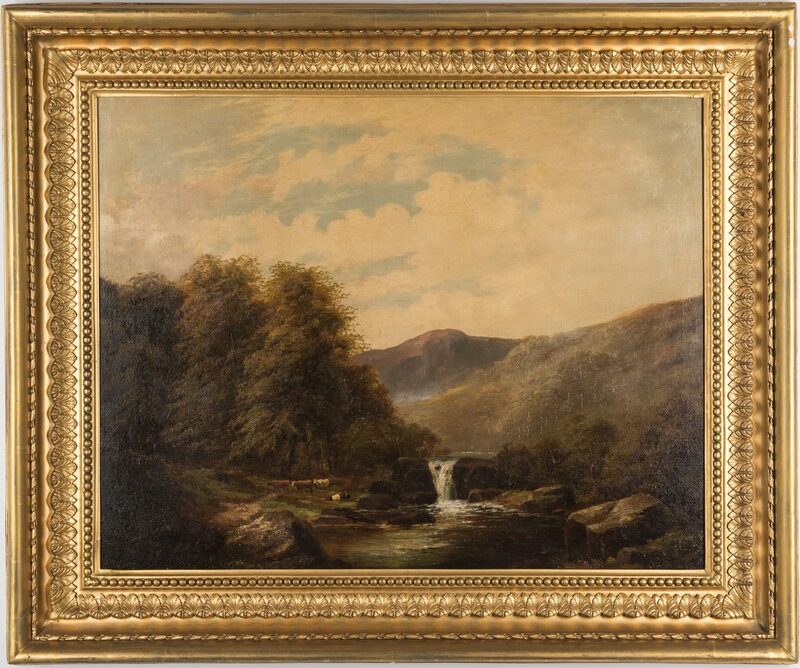 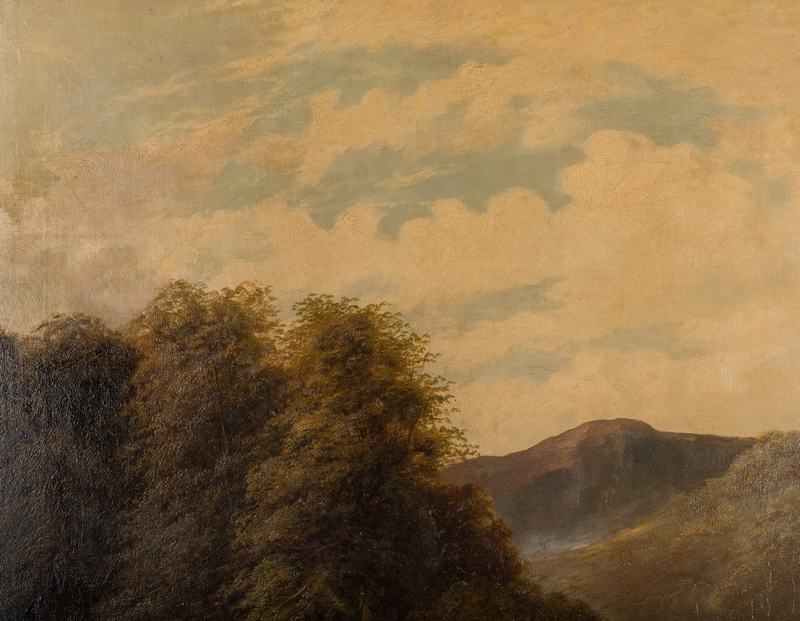 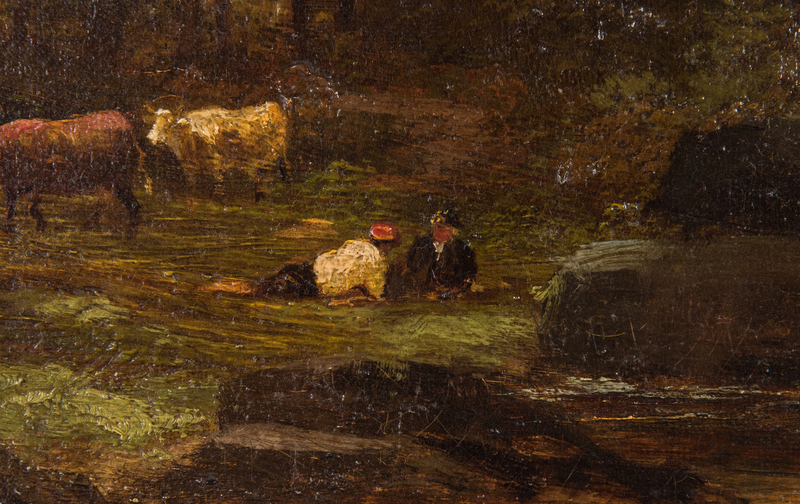 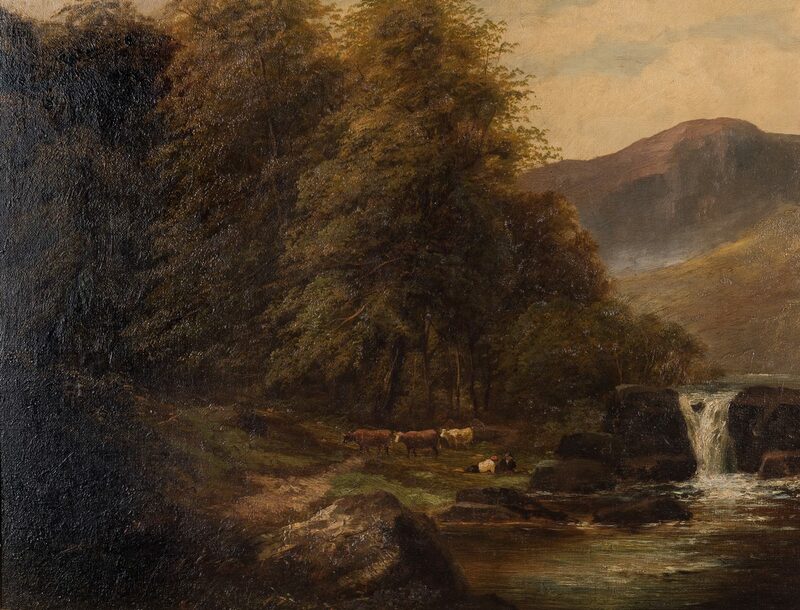 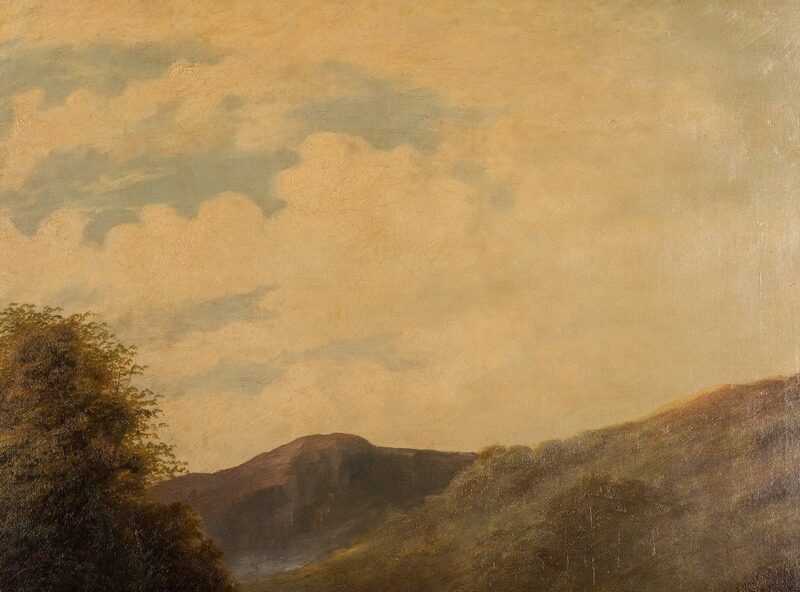 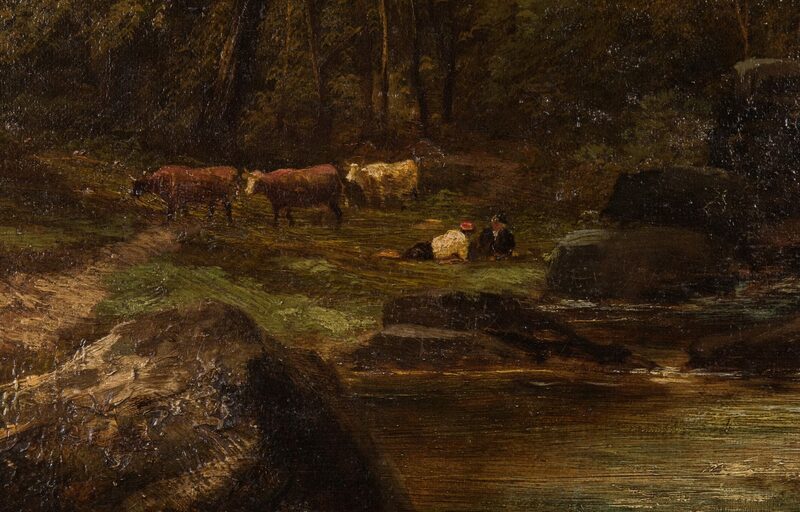 English 19th century oil on canvas landscape painting depicting two figures laying on ground near a group of cows by a river bank with a waterfall and trees at mid ground, mountains and a cloudy blue sky, background. 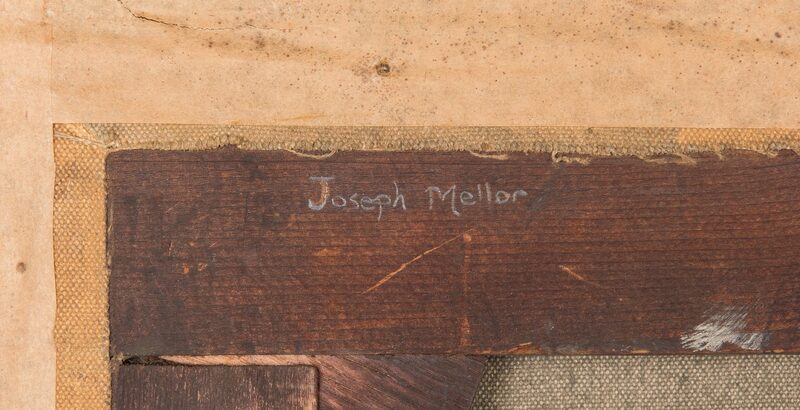 Unsigned but pencil inscription en verso of stretcher attributes the work to Joseph Mellor (United Kingdom, fl.1850 – 1885). 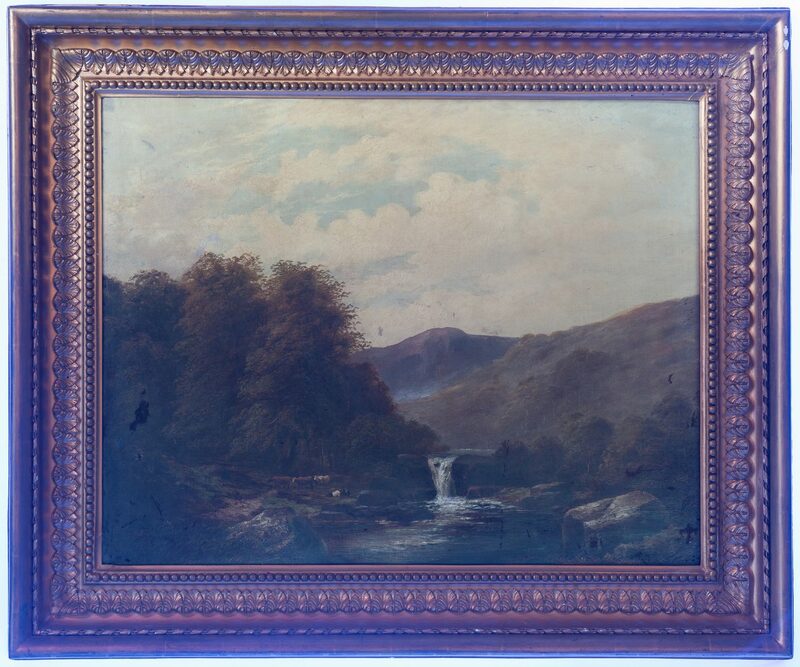 Housed in a gilt wood frame with carved lamb's tongue running pattern and bead course rabbet edge. Sight – 26 5/8" H x 34 1/2" W. Framed – 37 1/2" H x 45" W. Provenance: Private Kentucky collection. 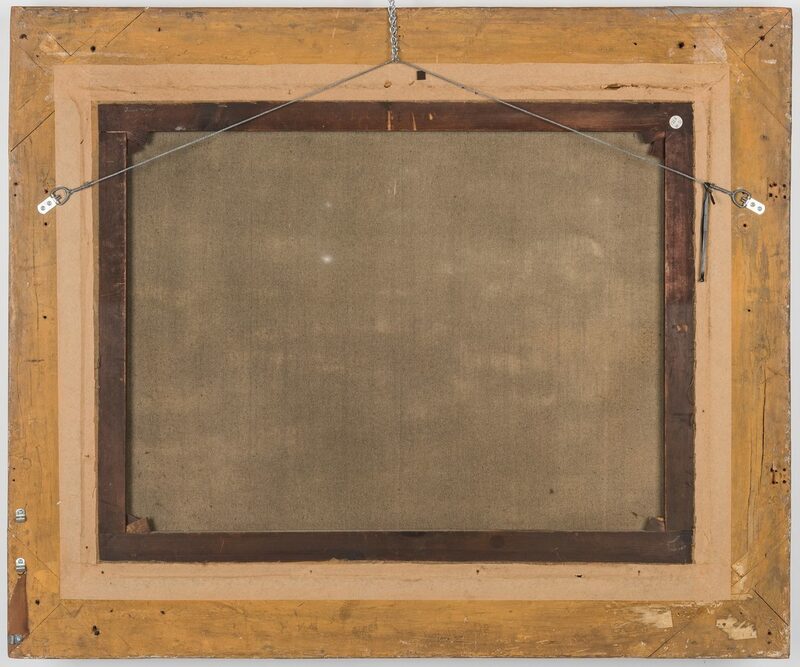 CONDITION: Concentration of white mold/dust accumulation across bottom half. 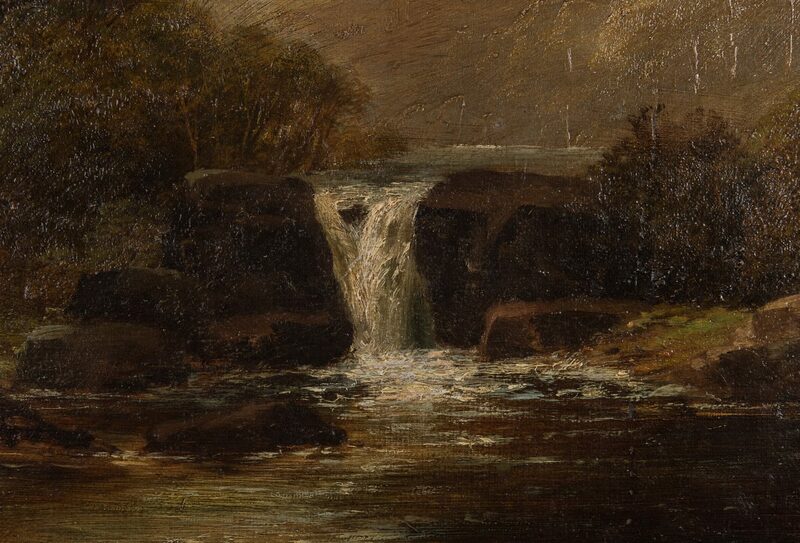 Black light reveals scattered inpainting bottom half; largest left spot in trees and right corner "t" shaped area.